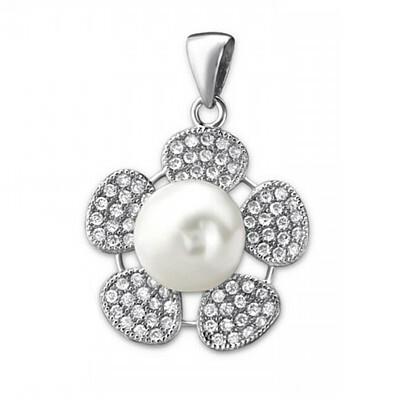 Exquisite combination of a sterling silver flower hand-set with 80 tiny shimmering cubic zirconia, with a perfect freshwater pearl at the centre. All threaded on a 41-46cm/16-18” Sterling Silver chain. Size: 18mm x 18mm Silver weight 2.7g.